Let’s quickly get one thing out of the way: Screaming Females are one of the best and most consistent American rock bands of the past decade. Over the course of six full-length albums, the power trio has crawled out of the New Brunswick, New Jersey basement scene and on to stages with the likes of Dinosaur Jr. and Arctic Monkeys. Their melodic and muscular rock and roll is reminiscent of the warm and fuzzy ’90s when Elastica and Jawbreaker still roamed the Earth. But the Screaming Females aren’t a throwback—they’re working through decades of punk and classic rock to make their own racket. Of course, it doesn’t hurt that they have a not-so-secret weapon of Marissa Paternoster making the term “guitar hero” a thing again in the aughts. Screaming Females’ latest LP, Rose Mountain, features plenty more of Paternoster’s squiggly guitar lines, bolstered by the same powerhouse rhythm section of bassist King Mike and drummer Jarrett Dougherty. Immediately noticeable is the production from Matt Bayles, who has worked with bands like ISIS and Mastodon. 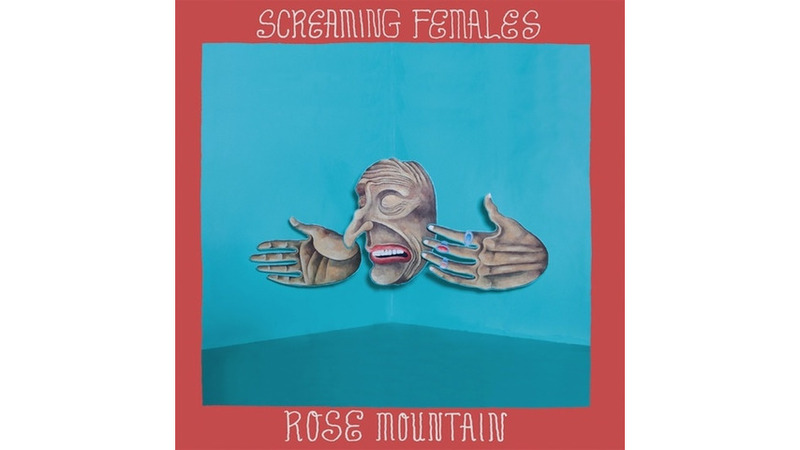 It gives Rose Mountain a very ’90s first-album-on-a-major sound (Screaming Females are still on New Brunswick punk label Don Giovanni)...you know, the kind of production that drove Kurt Cobain to resent Nevermind? That doesn’t mean it’s not a good album. Rose Mountain is less adventurous than 2012’s sprawling Ugly, but it excels in its compactness. And of course the riffs, which will stick in your head, especially opener “Empty Head.” Songs like “Ripe” and “Broken Neck” are also filled with more understated guitar tricks. Paternoster’s vocals are just as effective in stretching out and jumping boundaries. That, and some snappy arrangements, make what might be an average rock song in lesser hands spring from the speakers. Screaming Females play it a little straighter on Rose Mountain, but I get the feeling this rock unit—the same three people that played those basements not so long ago—have plenty of trick up their sleeves. A decade and six records in, Screaming Females are just getting started.